While flu season might seem a long way off, NACCHO recently released a research brief summarizing individual key informant interviews it conducted earlier this year about the capacity of local health departments (LHDs) to promote and administer seasonal flu vaccine and track vaccination rates among children with special healthcare needs (CSHCN), pregnant women, and adults with disabilities. NACCHO recruited LHD staff involved in vaccine surveillance, promotion, or administration through its infectious disease prevention and control, immunization, and disability electronic mailing lists, which consist of people who self-select to receive updates from NACCHO. NACCHO selected participants based on their region, position title, and number of years on the job. Nine individuals from a group of 24 candidates participated; these LHDs were located in eight states and oversaw jurisdictions ranging in population size from 19,000 to 1.5 million residents. NACCHO transcribed and analyzed recordings from the key informant interviews to identify common themes. Results of the interviews are summarized below. None of the LHDs interviewed collected community-wide data on seasonal flu vaccination rates for pregnant women, CSHCN, or adults with disabilities. LHDs reported that they did not have the infrastructure or staff capacity to track community-wide flu vaccination rates. Additionally, people can receive a flu vaccination in many locations (e.g., pharmacies and private physicians’ offices) and providers may not be required to report this information. Several LHDs indicated that they vaccinated pregnant women, CSHCN, and adults with disabilities for flu as part of larger efforts to vaccinate the community through school-based clinics, health fairs, and public clinics. LHDs identified reimbursement as one challenge to vaccinating pregnant women, CSHCN, and adults with disabilities. LHDs indicated that reimbursement issues (including reimbursement for staff time) compounded the management challenges of providing vaccinations. LHDs used various strategies to promote flu vaccinations among pregnant women, CSHCN, and adults with disabilities. LHDs reported posting fliers about flu clinic dates and times at local businesses. Others used a healthcare provider or school newsletter to promote flu vaccinations. LHDs also used newspaper, radio, and television advertisements to promote flu vaccinations. 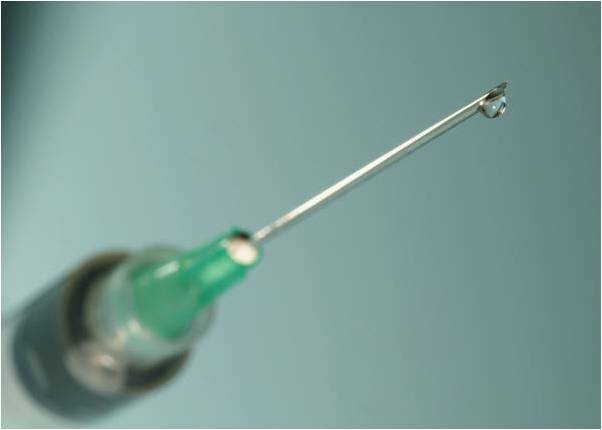 LHDs indicated that vaccine misconceptions often hindered their promotion efforts. Many LHDs said that they used Facebook or Twitter to promote flu vaccinations, and two LHDs noted that texting services could provide effective flu vaccination reminders. When asked to name the most valuable partner that LHDs could engage to increase the number of flu vaccinations for pregnant women, CSHCN, and adults with disabilities, participants consistently named physicians. LHDs also mentioned working with managed care providers, federally qualified health centers, pharmacists, and schools. Sometimes LHDs in different jurisdictions worked together to promote and administer flu vaccinations. LHDs should collaborate with community-based organizations and community stakeholders (e.g., businesses, employers) to increase the coordination of resources and programs to improve the health of people with disabilities. LHDs should leverage existing programs for pregnant women, CSHCN, and adults with disabilities to promote and provide flu vaccinations. LHDs should ensure that any flu vaccination campaigns are accessible by people with sensory disabilities through the use of accommodations like Braille/large print, American Sign Language, and closed captioning. The federal government should maintain funding to state and local health departments for immunization programs, including funding for the Vaccines for Children Program. The federal government should support an interoperable system allowing for information exchange between state- and local-level immunization registries and between all pertinent local users. The federal government should fund activities necessary for state and local health departments to establish third-party billing systems. To read the full-length research brief, Capacity of Local Health Departments to Track, Administer, and Promote Seasonal Influenza Vaccinations for Pregnant Women, Children with Special Healthcare Needs, and Adults with Disabilities, visit the NACCHO Bookstore. Need information on billing for clinical services? NACCHO’s Billing for Clinical Services Toolkit was designed to help make navigating the billing process easier for LHDs. It contains resources from state billing guides, the Centers for Medicare and Medicaid Services, state health departments, local health departments, insurance companies, and vendors of products such as electronic medical records and billing clearinghouses. This entry was posted in community health on August 6, 2014 by nacchovoice.